Early Bird | A-Tech Automotive Co.
Is it difficult to get your car to us between 8am and 9am? 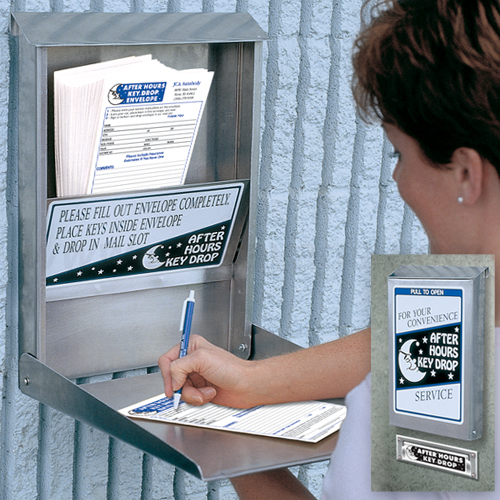 We have a system in place to accommodate early and overnight drop off of your vehicle. We have the“Early Bird” system for when the office is closed. Here’s how it works: park your vehicle in a parking space on our lot. Remove all your valuables and lock your vehicle up. If you’re facing the Office, Next to the Office door there is a box full of “drop off” envelopes. We try to have pens handy, but they are often taken by accident. Write your information on the envelope — most important is the best phone number to contact you with, email & Signature. Fill out the rest of the form, seal your key within it, and deposit it into the “Key Drop” in the First Garage Door to the left of the offices. When the office opens, we will call to confirm that we’ve received your vehicle and make sure we are on the same page about what you want us to do with it! As always, we can be very busy in the mornings, so if you have not received a call about your Early Bird, be sure to check in around 930am or 10am to see what’s up. Can you not make it back before 5pm to pick up your vehicle? If you have reason to believe that you won’t make it before we Close for the Day, let us know in the morning. When the work on your car is completed, you will receive a phone call. Be sure to mention to the service writer that you want to arrange a “Lock Out” once you know your car is done. For us to exercise this option, you will need to have a spare key or alarm fob in order to gain entry to your vehicle. Here’s how this works: once the car is finished, you pay over the phone with a Bank Card. We will place all your finished paperwork inside an envelope. Our normal procedure is to put this envelope, along with the key you provided us, over your visor, into your glove box, or another suitable location that you request.. We’ll lock the keys in the car, and you can pick up whenever’s convenient after hours. *We do not advocate these solutions, and we disclaim any liability for whatever thieves may do. We offer these logistical solutions as a convenience, not as a primary means of delivery. Therefore, try to make your appointments for days where you might not have to arrange a Lock Out, or leave your car for long as an Early Bird.